During long, cold winters like this one, I find it difficult to keep enough fresh fruit in the house. Often the quality of produce available in grocery stores in winter is not up to par. And even when the fruit is better quality, the price can be prohibitive. 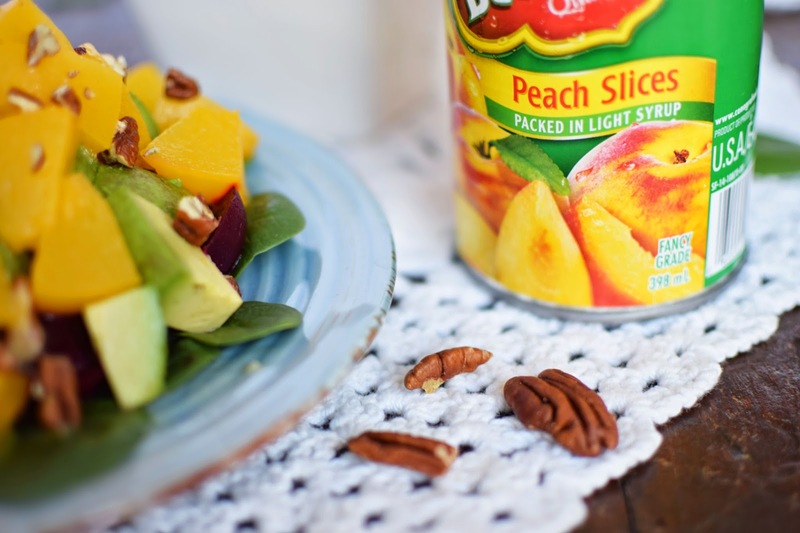 Inspired by the need for more fruit in my family's diet, I created this light yet satisfying Sunny Peach Salad using canned California Cling Peaches. This refreshing salad sits on a bed of baby spinach. It has a gentle sweetness from the peaches and a tangy punch from canned beets. Despite its refreshing lightness, it makes a filling lunch or dinner starter, in part because of the healthy fat provided by fresh avocado. Tasty pecans add protein as well as more fibre and a pleasing crunchy texture. Thanks to canned peaches, you don't have to hide your favourite peach recipes away when summer ends. Canned California peaches can be substituted for fresh peaches in most recipes. (Most canned peaches in Canada are from California.) Researchers at Oregon State University and the Linus Pauling Institute studied canned peaches and found that they pack a nutritional punch, making them a great fruit option all year round. Currently only half of all Canadians are meeting recommendations for fruit consumption. Handy to keep in pantry cupboard or office drawer, canned peaches can boost your fruit consumption, eaten right from the can or added to favourite recipes. More than 60 per cent of Canadians think that canning peaches adversely affects their nutritional content. In reality, according to Oregon State University, canned peaches are four times higher in vitamin C, 10 times higher in folate, one and a half times higher in antioxidants and have a comparable amount of vitamin E. A serving of peaches packed in extra light syrup or 100 per cent juice has 14g of sugar. Compare that to 29g of sugar in a serving of raisins or 60g in a banana berry smoothie. When substituting canned for fresh peaches, drain the syrup from the can, unless specified in the recipe. I reserved a tablespoon of the light syrup to gently sweeten my olive oil vinaigrette. Keep in mind too that you may not need to add as much sugar to your recipe when using canned peaches. Golden, sweet and nutritious California Cling Peaches are grown on family farms in California, picked fresh and packed fresh. 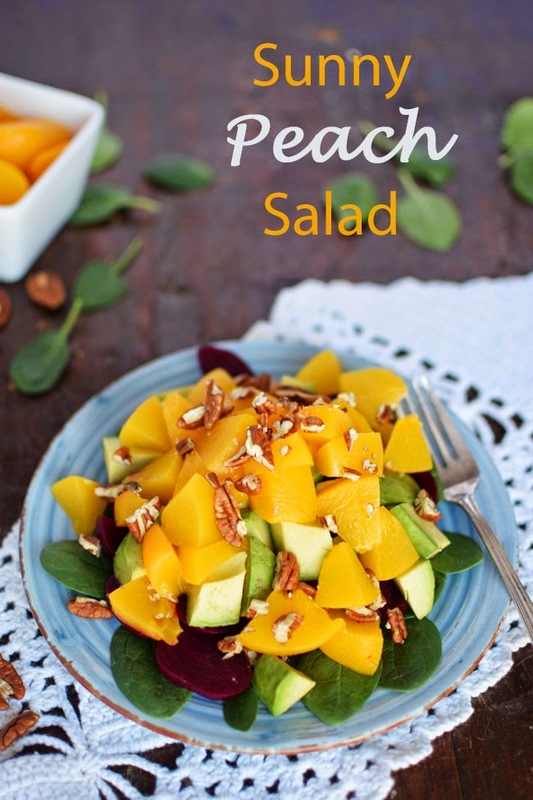 For more great ideas to incorporate California Cling Peaches into your salads, soups, mains and desserts, check out these recipes or follow California Cling Peaches on Twitter, Pinterest and Facebook. I really want to make a peach crisp next...or a peach coffee cake...or both. Have you been eating enough fruit this winter? Put a layer of baby spinach on each of two individual serving plates. 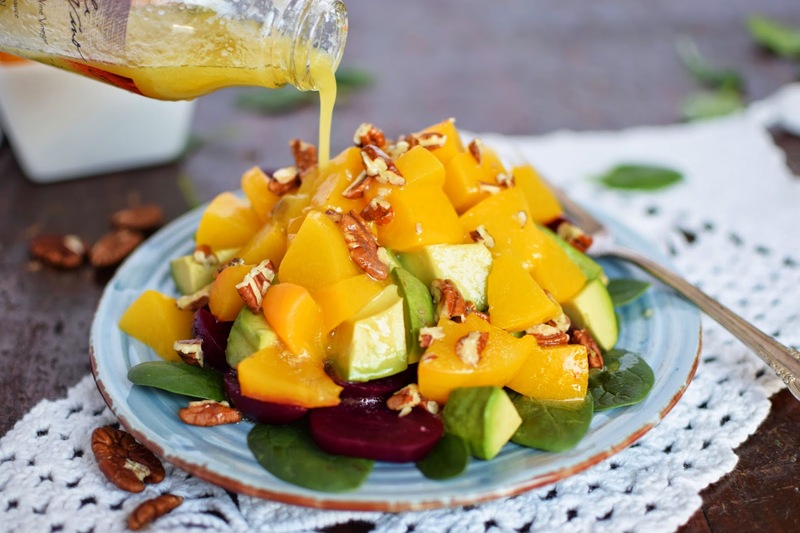 Layer on the beets, avocados and peaches. Top with pecans. Whisk together all of the ingredients. Drizzle over prepared salads. Store any extra dressing in the fridge. *This is a sponsored post. All opinions are authentic and my own. Thank you for supporting the awesome companies that partner with Woman in Real Life! Joann, what a coincidence! I bought two tins today. It's an easy way to get your dad to eat fruit. Now I'll have to buy spinach. The recipe looks so pretty & delicious. I haven't had canned peaches since I was a little girl, when they were a sinfully sweet treat! ;) looks tasty! 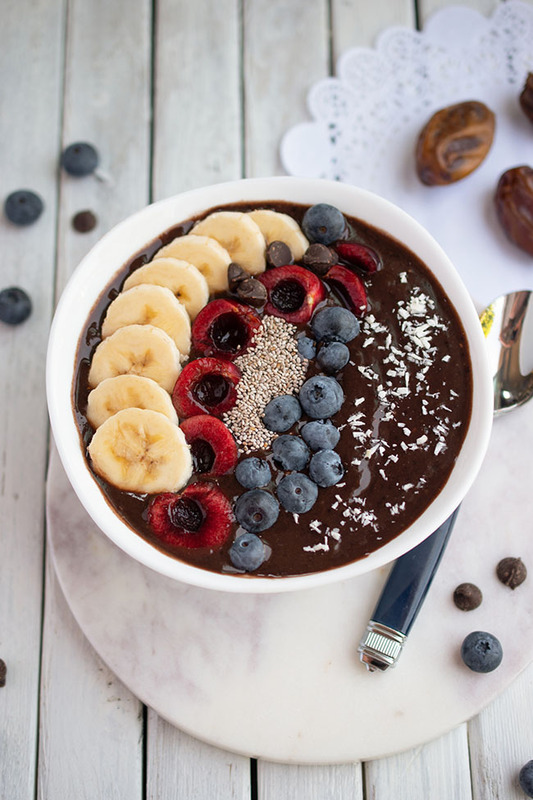 Wow this looks delish! 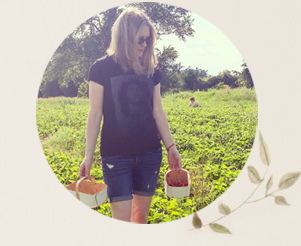 I love a beet & peach salad but I found the research you shared about canned peaches really interesting! Wow! Just pinned this recipe and tweeted it! Is it bad that I was DROOLING as I read your post?! OMG!! That is such a beautiful salad!! So springy!! Mmm this looks wonderful, so pretty! 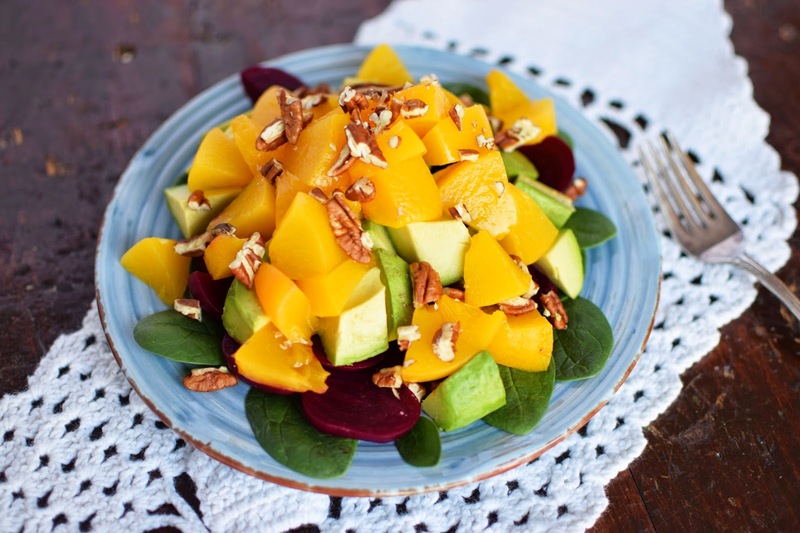 What a great salad to help fight off the winter blues! 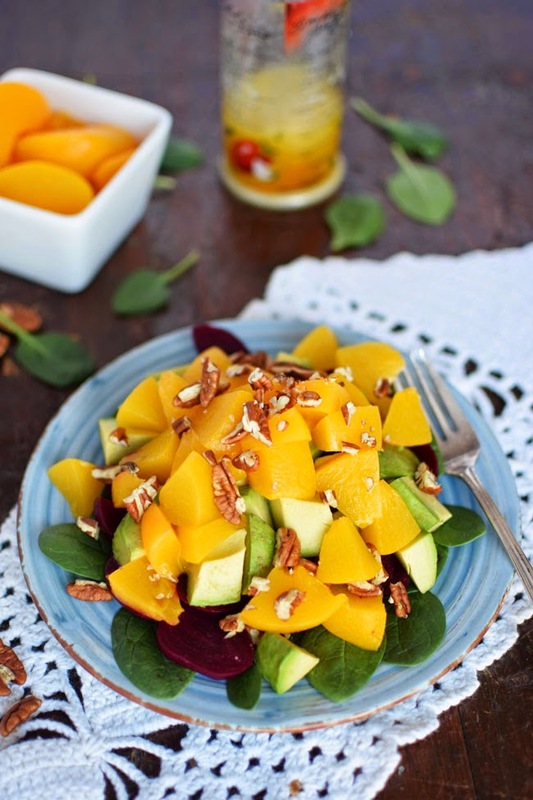 I would have never thought of mixing peaches with beets, that looks SO good!